Retailers have traditionally used laser barcode scanners at the point of sale (POS) to simplify checkout. But technology has changed, along with customers’ expectations. 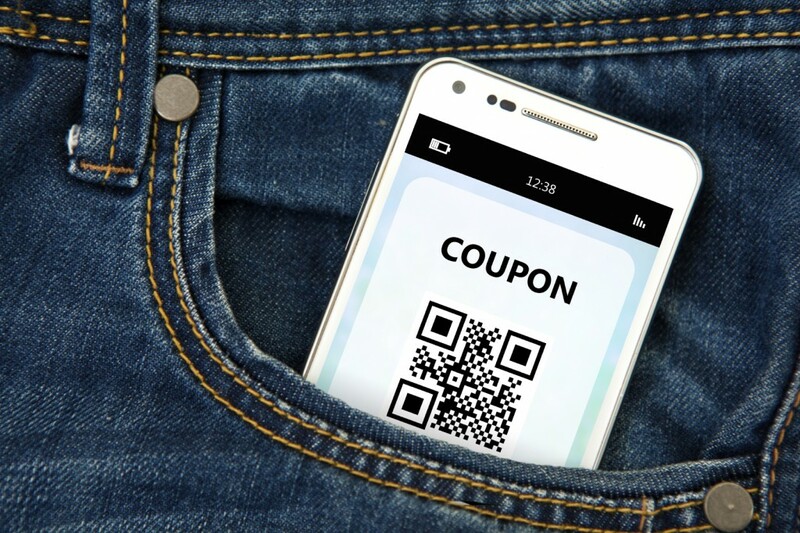 To realize faster, more accurate scans that speed transactions, support mobile couponing, and improve customer experiences, retailers should use 2D scanners. According to Honeywell, a recent VDC Research report substantiates this recommendation. Data automation experts predict sales of 2D barcode scanners will grow at a rate of 13.4 percent for the next three years, while laser (1D) scanners will decline by 7.3 percent. By upgrading to 2D area imagers, retailers will enjoy several benefits that lead to lasting profitability. Compare 1D and 2D scanners. Use 2D scanners to increase revenues with mobile marketing programs. 1 Increase revenues with mobile marketing. Omnichannel marketing opens doors in the battle for retail supremacy. Gone is total reliance on brick-and-mortar store fronts. Innovative retailers are shoring up their ecommerce sites, soliciting social followers, and electronically marketing their wares in an effort to attract today’s mobile shoppers. By delivering a positive experience with every interaction, retailers can increase revenues. Think instant rewards for loyal customers, in-line mobile point of sale (MPOS) transactions, and personalized mobile coupons—all of which are possible with 2D scanners. 2 Automate enrollment in loyalty programs. Mobile marketing drives traffic. Loyalty programs reward repeat purchases. Now, retailers can merge the two by enabling program enrollment at the POS. Associates scan customers’ U.S. drivers’ licenses using 2D barcode scanners that automatically populate membership applications with pertinent information. Gone are data-entry errors and delays reaching out. Now, retailers can instantly begin marketing efforts that reward customers’ loyalty and generate sales. 3 Instantly verify shoppers’ ages. To speed checkout times, prevent fraud, and avoid costly fines, use 2D scanners that immediately verify shoppers’ ages. One quick scan provides the information convenience stores need to legally complete the sale of things like alcoholic beverages, lottery tickets, and tobacco products. And, 2D scanners also capture the information retailers need to trace purchases of pseudoephedrine-based medicines and firearms for compliance with federal regulations. Presentation scanners that sit in or on counters can scan electronic barcodes such as those used for mobile marketing. But what happens when a sales associate accidentally damages the shopper’s phone or tablet when handing it off for the scan? To minimize risk, retailers are adding supplemental 2D barcode scanners that allow customers to maintain possession of their mobile devices. They are also using these handheld devices to read barcodes on heavy items that can’t easily be lifted for scanning. This protects employees from injuries and employers from unnecessary insurance claims and staff absences. 5 Read any barcode, any time. 2D scanners use area-imaging technology that takes pictures, or images, of barcodes. This enables retailers to successfully scan 1D and 2D electronic and paper barcodes the first time—regardless whether a printed code is damaged or poorly printed. They can also take advantage of digital wallet applications that are growing in popularity. Laser scanners have proven their reliability when capturing barcodes, but they can’t read promotional or loyalty codes off mobile devices. While presentation scanners that sit on or in counters can quickly capture paper codes, they are slower reading electronic codes. Enter hybrid devices that combine the dependability of lasers with the pass-through speed of bioptic, or in-counter, scanners. Designed for large scan volumes and labels on curved surfaces, these scanning devices correctly capture all barcodes on the first pass. They also read both UPC/EPC product codes in self-checkout lines for faster, more efficient processing. 7 Scan every barcode from every direction. 2D area imagers are omnidirectional. This means they can easily scan barcodes from every angle and orientation. Motion-tolerance technologies and ergonomic designs also make them simple to use, saving retailers and customers time at the POS. Backroom staff also appreciate these omnidirectional imagers due to their ease of use and ability to scan most every barcode. 8 Store information in one place. As noted, 2D scanners use area-imager scan engines to take pictures of barcodes, which is why they are ideal for harsh environments where labels are prone to wear. But did you also know that this same technology enables retailers to capture images of important documents? Not only does this ensure employees have the information they need in one convenient location; it conserves space in crowded stockrooms and offices. With the wide adoption of mobile applications, retailers require scanners that will grow with their businesses. Because laser scanners don’t provide the same flexibility as area imagers—which read both paper and electronic 1D and 2D barcodes—organizations are investing in 2D scanners. This enables them to fully benefit from today’s mobility solutions. It also ensures that companies have devices that will grow with their businesses. 10 Optimize the customer experience. In a recent report by Forrester Consulting, which was commissioned by Zebra Technologies, nearly 600 decision-makers stated that improving the customer experience is the most important benefit to adopting the Internet of Things (IoT) solutions. IoT applications rely on scanners and sensors to accurately capture data before sharing and analyzing it. Retailers will use these recommendations to make better, more informed decisions that positively impact operations and customers. That’s why it’s more important than ever to upgrade to 2D scanning devices, including handheld and hands-free styles designed for different uses. Doing so ensures superior service that keeps customers coming back. And after all, isn’t that the goal of every retailer? The leading provider of business process automation technology, System ID can help you find affordable 2D scanning solutions for your retail business. Call us at 888.648.4452 or visit us online. And to ensure you don’t miss out on any news, subscribe to our blog and follow us on LinkedIn, Twitter, and Google+.